As a start we drew up some ideas together. 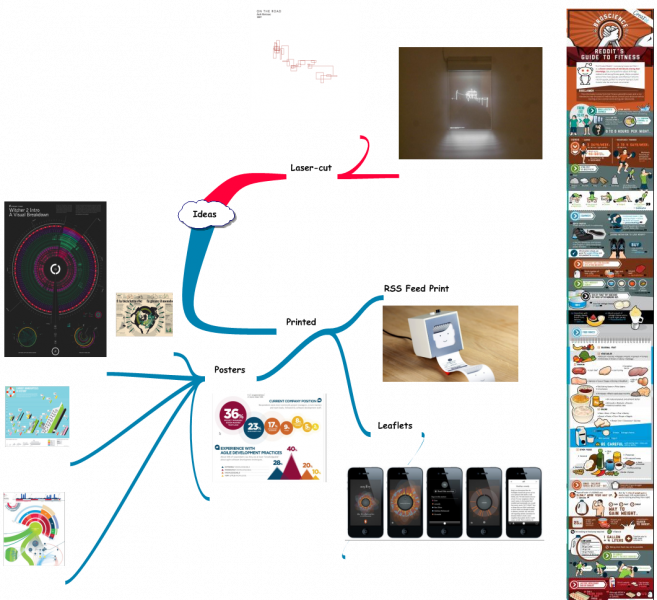 We were thinking that the project should have multiple outcomes based on the same theme. The above image shows the kind of products we were thinking of. The running theme throughout the project is that the user is unaware of the amount of fitness they are carrying out during their working day. In other words, the user is unaware that they are keeping fit by just being active. The data is then represented to them by means of different materials. The project could also take the angle that the user is surrounded by their data, but unaware of it all. So the user could see the posters on the way to work stating ‘keep moving’. This was realised when we conducted the initiation presentation. We will most likely stick to the former route, because we like the idea that user can maybe wake up to a set of slides of data in the post. The chosen route maybe a debate through the duration of the project. 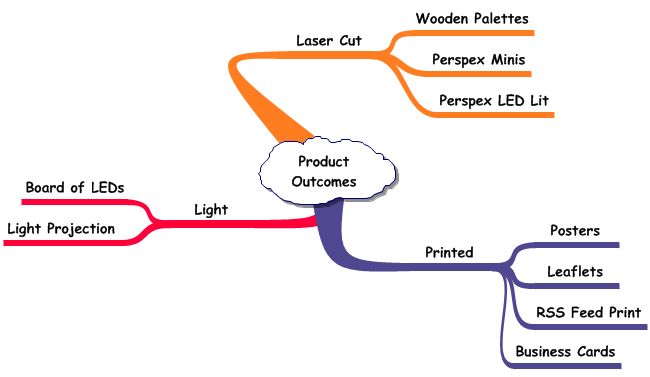 Plates or slides of data would be created from the laser-cutting; the slides maybe Perspex or plywood. 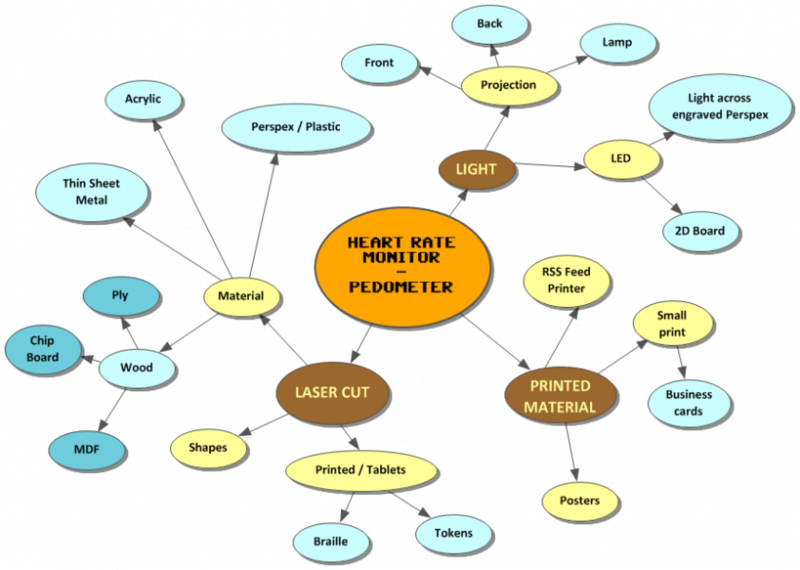 The concept could be that the data generates a graph of data that is drawn out by the laser-cutter for the user to keep a track of their progress; the user keeps a hold of the products made as a keep safe. This same data could be used to create printed material in the form of posters or leaflets.